The Alarm Grid office will be closing early at 6pm on December 31st, 2018. We will remain closed through January 1st, 2019. Our office will reopen at 9am on January 2nd, 2019. Our support team will not be answering phones or checking any emails or online chats while we are closed. If you need to reach us during this time, your best option is to send an email to support@alarmgrid.com. We will review all our emails thoroughly when we return on January 2nd and respond as quickly as possible. We appreciate your patience and understanding during this time. Alarm Grid would like to wish everyone a Happy New Year's Eve and New Year's Day. Please stay safe, and remember to arm your security system if you decide to go out. If you are experiencing a real emergency, you can always reach your local authorities by calling 911. Please check back to this blog in 2019 for more updates from Alarm Grid. Honeywell SiXMINICT Made Available - We started offering the Honeywell SiXMINICT in January 2018, and it quickly became one of our most popular sensors. It offers the same 128-bit AES encryption found in the larger SiXCT, but in a more compact package. The wireless door and window contact is also now included in many of our encrypted Lyric System Kits. Our VISTA Cheatsheet was Released - Also in January, we released our Honeywell VISTA System Cheatsheet. This guide has proven to be an extremely valuable resource in helping DIY users quickly find useful information about a VISTA P-Series System. The cheatsheet provides quick and handy references for the VISTA 15P, VISTA 20P and VISTA 21iP Systems. Release of 2GIG SP1 Keypad - February brought us the release of the 2GIG SP1 Wireless Keypad. This became the premier option for a secondary access point on a 2GIG GC3 System. Unlike its little brother, the 2GIG SP2 Keypad, the SP1 Keypad provides complete voice annunciation, smart home automation features and a convenient 5-day weather forecast. VISTA LTE Communicators - In March, VISTA owners rejoiced, as a Verizon LTE Communicator became available! With the release of the Honeywell LTE-XV, Honeywell VISTA users could start enjoying the fast and reliable connectivity that only an LTE Network can offer. For users who wanted to connect with the AT&T LTE Network, the Honeywell LTE-XA was also released later in the year. Changes to our System Kits - We made a big change to its system kits in March, as we started including the Honeywell LT-Cable in most our our pre-packaged kits. This convenient cable makes it super easy for DIY users to set up their systems and get started with Alarm Grid monitoring. All you need is a screwdriver - no wire-stripping necessary! Total Connect 2.0 Alexa Skill - The Total Connect 2.0 Amazon Alexa Skill became available in late March. This gave users the ability to control their Honeywell Alarm Systems using spoken voice commands sent through an Alexa device. Alexa support for scene control became available later in the year as well. This was a huge win for Total Connect 2.0 users! April Fool's Joke - For April Fool's, we announced the Alarm Grid AGCLAP1, a "Clap Sensor" that responds to the sound of a person clapping their hands. This was made possible using our advanced "Clapping Language Application Protocol", or CLAP. It promised an ear-shattering siren of 140 dB and a wireless signal range of 401 feet. The device was to be used with our very own Clap App. ISC West 2018 - In April, Alarm Grid sent a team over to ISC West 2018 in Las Vegas to get a firsthand look at some of the newest security products. We made a post for the Honeywell booth and a post for the Qolsys and 2GIG booths. This truly was an exciting experience to get a sneak peak at some of the cutting-edge technology that the security industry is known for putting out! Interlogix Products Available - Interlogix joined the Alarm Grid family in May, as we began selling many of their systems and sensors. This product release included the Simon XT, Simon XTi and Simon XTi-5 Systems. These are great panels and sensors for any cost-conscious user who wants an effective solution for reliable alarm monitoring service. Partition Support for Total Connect 2.0 - The release of partition support for Total Connect 2.0 was huge. Now users could control individual partitions from the Total Connect 2.0 Website or Mobile App. Many functions were included with this feature, including the ability to bypass sensors. This great feature first became available in June of 2018. 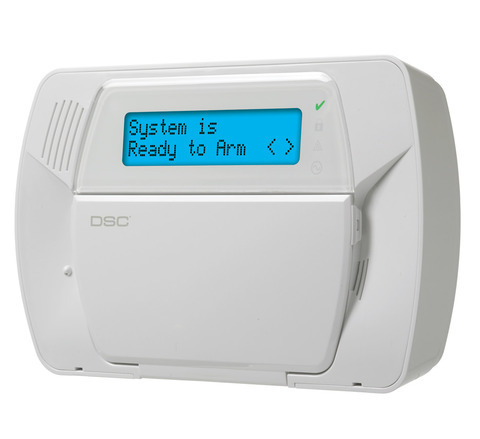 DSC Product Launch - We began selling DSC products in June, including the wireless Impassa System. 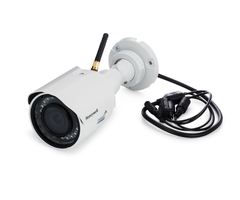 This system supports 433 MHz wireless sensors, which are some of the most popular in the entire industry. This release also included the DSC PowerG Sensors, which offer an extremely impressive wireless signal range and 128-bit AES encryption protection. Wireless Contacts Guide - We released a total guide to Honeywell Wireless Door and Window Contacts in July. 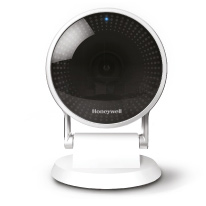 This helpful resource has been fantastic for DIY users looking to set up their own Honeywell Security System. Door and window contacts are perhaps the most popular sensors used with security system. All of Honeywell's most popular wireless contacts were featured. Alarm Grid's 6th Birthday - Alarm Grid celebrated its 6th birthday on July 20th, 2018. We closed our office early that night so that our team could enjoy a fun time at a video game bar. Everyone at Alarm Grid is extremely proud to have provided countless homes and businesses with top-quality monitoring services for the past six years. We hope to continue to serve our customers well into the future! 10,000 Subscribers on YouTube - Our YouTube Page hit 10,000 subscribers in August of 2018. We put together a big post and video recap to celebrate this accomplishment. The entire Alarm Grid family looks forward to providing users with helpful videos in the future. Kudos to our video team and our support technicians for all their hard work! IQ Panel 2 Plus Release - The Qolsys IQ Panel 2 Plus System became available in late August. This system offered several new features, including the ability to support PowerG Sensors. Each version includes an AT&T or Verizon LTE communicator, a Z-Wave Plus controller, a PowerG daughtercard and a legacy daughtercard. The legacy daughtercard options are 319.5 MHz, 345 MHz and 433 MHz. Lutron Release - Alarm Grid launched Lutron Products in September of 2018. These smart lighting devices are easy to use, and they provide a great solution for any user looking to get started with home automation. Our Lutron offerings are based around the Lutron Caseta Smart Bridge, which is capable of supporting up to 50 different Lutron Lighting Devices. 2GIG GC3 Partition Support - 2GIG released partition support for the 2GIG GC3 Security System in October of 2018 with its "Smart Areas" feature. This was historic, as the GC3 became one of the first-ever wireless systems to support partitioning. With this game-changing firmware update, the 2GIG GC3 gained the ability to support up to four unique system partitions. A Spooky Alarm Grid Halloween - We celebrated Halloween in style in 2018 by going all-out with decorating our office. There were ghosts, ghouls, spiders and bats lurking in our office, as our entire team got involved in the festivities. We hope that all our customers had an exciting and safe Halloween, as we kept your home safe during this fun-filled holiday! Refurbished Security Equipment - We began selling certified refurbished equipment in November of 2018. These offerings provide the same great performance as brand-new equipment, but at a lower cost. Our refurbished products include the Honeywell Lyric Controller, the Honeywell LKP500 Keypad, the Honeywell VISTA 21iP and the Honeywell 5800C2W Wired to Wireless Converter. Partitioning for IQ Panel 2 - Qolsys followed through with their promise to end 2018 with a bang by releasing partitioning support for the IQ Panel 2. The firmware update allows users to control up to four individual partitions on their IQ Panel 2 System. It also included a lock screen feature to restrict access to the system. This truly was a great year for Qolsys! Alarm Grid Christmas - Alarm Grid closed its office on December 24th and 25th in celebration of Christmas. These special dates fell nicely on a Monday and Tuesday respectively, so it gave our team a four-day weekend. We are always proud to protect homes and businesses during the busy holiday season. We hope that all our customers had a good time and received lots of presents! Looking back, 2018 truly was a fantastic year for Alarm Grid. We hope that you all enjoyed the year as well. Keep following our blog as we head into 2019. And as always, thank you so much for being a part of the Alarm Grid family! Hi DIYers! Last week we reviewed the new features that were added to Total Connect 2.0 in the past year. But now the new year is quickly approaching! We have learned from Honeywell that there are some great new features coming to the Total Connect 2.0 service in 2019. Here's a sneak peak! 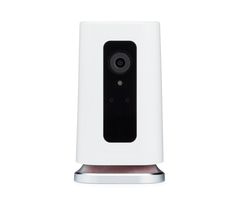 With this feature, users can set up their cameras so that they automatically go into privacy mode when the system is disarmed. This can be useful, as the camera will stop capturing and saving video clips when the user is less likely to need them. However, the user will still be able to view the live feed for the camera through TC2. One benefit to doing this, in addition to the privacy provided, is that the user will not have to sort through as many video notifications. Once the user arms their system, the camera will exit privacy mode and capture clips like normal if it is activated. Earlier in 2018, Siri Shortcuts became available for Alarm.com. Now it appears this same great feature will soon be made available for Total Connect 2.0. Users will be able to perform security functions and operate various smart home automation scenes using voice commands that are sent through Siri on an iOS device. This is fantastic news for Apple users who want a quick and convenient method for controlling their Honeywell Alarm System, as well as any programmed smart home devices. We don't know much about the feature yet, but it's fair to assume that each command will need to be set up individually with its own trigger phrase. As long as your Z-Wave device is set up with a Total Connect 2.0 scene, you can program it to activate with a convenient voice command! We're sure that Honeywell will surprise us with many more new features in the coming months. This is just the tip of the iceberg. But it's plenty of reason to get excited about 2019. We hope that you're looking forward to it just as much as we are. Stay tuned to Alarm Grid for all the latest security and home automation news! Hi DIYers! We have very exciting news for Qolsys IQ Panel 2 users today. Software update 2.3.0 is now available! This biggest highlight of this update is the ability to control up to four distinct partitions with the system. Other great features are also provided to enhance the system. With the all-new partition support, the IQ Panel 2 is now the second wireless alarm panel we carry to support the feature, after the 2GIG GC3. This feature allows a user to essentially section off their alarm system so that they can restrict access to certain areas. Each partition can be assigned a certain set of user codes in order to determine who can access each part of the security system. After receiving the update, a screen lock feature will also be added to limit access to the panel. Please note that you must enable partitions from within Installer Settings before the feature can be used. This will also apply the screen lock. After you have done this, the main screen will reflect that partitioning has been enabled, and there will be a Partitions option within the Advanced Settings menu. Support for new PowerG devices for IQ Panel 2 Plus System, including the PG9936 Smoke Detector, PG9933 CO Detector, PG9307 Recessed Contact, PG9309 Vanishing Door and Window Contact, PG9309 Door and Window Contact with Auxiliary Input, PG9312 Outdoor Door and Window Contact, and PG9862 360-degree Ceiling Mount PIR Motion Sensor. Ability to create 6-digit user codes. Improvements to panel camera, including "peek-in now" and "peek-in next motion" from Alarm.com, as well as disarm photos after remote disarm through Bluetooth, key fob or ADC. Local automation features for panels not yet set up with ADC, including automatic locking of all locks at night, setting all thermostats to automatic mode, and controlling lights to activate Light 1 at night and turning off all lights in the morning. Maximum number of thermostats increased from 6 to 10. Maximum number of door locks increased from 6 to 20. User code names now sync automatically between the panel and ADC. New Sensor Type of "Temperature - Group 51" for the PG9905 PowerG Temperature Sensor. To perform the update, press the small grey bar at the top of the main screen. Choose Settings > Advanced Settings > Installer Code (default 1111) > Upgrade Software > Patch Tag. Then enter in "iqpanel2.3.0". Press OK. Then choose "Upgrade Using Network". If the panel is connected via WIFI, you will be able to begin the installation process. If you have any questions about this update, please reach out to us! You may email us at support@alarmgrid.com. You may also call us at (888) 818-7728 during our normal business hours, which are 9am to 8pm EST M-F. Please note that our office will be closing at 6pm on December 31st, and we will be closed all day on January 1st. The Alarm Grid office is currently closed for the holidays. We will remain closed through Monday, December 24th and Tuesday, December 25th. We will not answer phones or check emails during this time. Our normal business hours (9am to 8pm EST) will be resumed Wednesday, December 26th. We would also like to provide you with advance notice that our office will also be closing early on Monday, December 31st in observance of New Year's Eve. We will remain closed all day Tuesday, January 1st in observance of New Year's Day. We will resume our normal business hours on Wednesday, January 2nd. If you must reach us during any period when we are away, we strongly recommend leaving an email at support@alarmgrid.com. We will work to get back to you as soon as possible once we return to the office. Once we do return, you may also call us at (888) 818-7728 or contact us through online chat support. From everyone at Alarm Grid, we wish you, your family and your friends a safe and merry holiday. Now is the best time of the year for togetherness, and we are very proud to help keep you and your loved ones safe and protected at all times. We look forward to providing you with the very best support and service in the coming new year! Announcing the Honeywell SiXCOMBO and 5800C2W Kits! Hi DIYers! We're thrilled to announce that the Honeywell SiXCOMBO is finally here, just in time for the holidays! This Honeywell SiX Series Sensor offers support for smoke, heat and CO detection all in one convenient device. Additionally, new Honeywell 5800C2W Kits are also available! 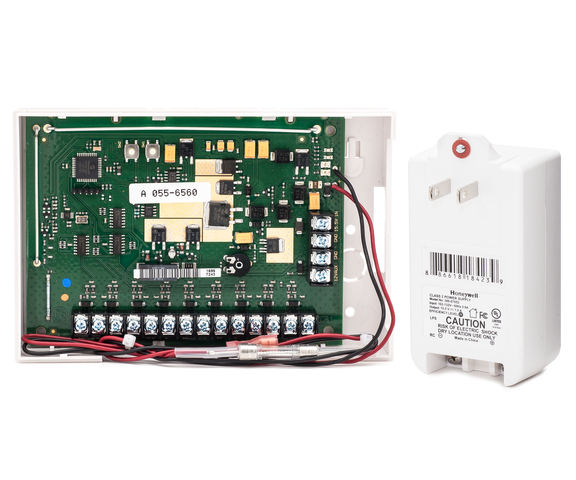 With support for smoke, heat and CO sensing, the Honeywell SiXCOMBO is the first-ever encrypted combination life-safety sensor available for the Honeywell Lyric Alarm System. The device includes a built-in photoelectric smoke detector, a heat sensor that activates at temperatures of 135°F or higher, an IR sensor that measures ambient light and flame signatures, and a carbon monoxide sensor that responds to dangerous levels of CO gas. These four integrated sensors all work together to ensure that your home or business stays protected against fires and CO outbreaks at all times. Users will also appreciate the One-Go-All-Go feature of the Honeywell SiXCOMBO. If the device activates for a fire or CO alarm, any additional SiXCOMBO devices that are also programmed with the system will also activate. This One-Go-All-Go feature affects Honeywell SiXSMOKE devices as well, so all your SiX Series life-safety devices will respond to the emergency. Each sensor includes an 85 dB sounder, which is plenty loud enough to alert anyone in the building. The Honeywell SiXCOMBO is very easy to program with the Honeywell SiX Programming feature. This option is found within Installer-level programming. Once you have accessed the feature, you can power the SiXCOMBO on by removing its battery tab to have it auto-enrolled with the system. This can also be done by pressing and holding one of its test buttons until it auto-enrolls. The sensor will take up three zones on the system - one for smoke detection, one for heat detection, and one for CO detection. In addition to the Honeywell SiXCOMBO, we are also glad to announce that Honeywell 5800C2W Kits are now available. We have two kits available - one of a Lyric Controller and 5800C2W Combo and another with just the 5800C2W and accessories. Both kits include enough LT-Cables for wiring and an UltraTech 1240 Backup Battery. Each 5800C2W is capable of supporting 9 hardwired sensors, so keep that in mind when system planning. These kits are perfect for anyone upgrading from an older hardwired system who wants to continue to use their existing hardwired sensors. If the user needs a new system, the Lyric 5800C2W Combo Kit is a great option. As you know, the Lyric is HomeKit compatible for use with HomeKit Smart Scenes and Siri voice commands. Meanwhile, the 5800C2W itself will work with any alarm system that accepts 345 MHz sensors. This includes the Honeywell LYNX Touch Panels, the 2GIG GC2 and GC3 Systems and the Qolsys IQ Panel 2 Plus with Honeywell Legacy Daughtercard. Finally, we'd also like to briefly announce our office hours for the upcoming holidays. As usual, our office will be closed this weekend, which is Saturday December 22nd and Sunday December 23rd. Our office will then remain closed Monday December 24th and Tuesday December 25th in observance of Christmas Eve and Christmas Day respectively. We will resume our normal business hours of 9am to 8pm EST on Wednesday December 26th. If you have any questions or concerns during this four-day period, we strongly encourage you to email us at support@alarmgrid.com, and we will do our very best to get back with you after we return from holiday on Wednesday the 26th. Once we return, you can also reach us by phone at (888) 818-7728 during our normal business hours. We also have online chat support available on our website. Please also note that we will be closing our office early at 6pm on Monday December 31st in observance of New Year's Eve. We will remain closed on Tuesday January 1st in observance of New Year's Day. We will resume our normal business hours of 9am to 8pm EST on Wednesday January 2nd. Again, if you need to contact us while we are away, your best option is to use the email listed above. We would like to wish all of you a very happy and safe holiday season, and we invite you to keep checking our blog in the following days for more information. Hi DIYers! Today, we're taking a look back at what Honeywell and Total Connect 2.0 accomplished throughout 2018. Obviously, there's the big story of the Resideo spin-off. While this is certainly very exciting news, we'd like to focus more on what new features were added to TC2 this year. Support for Honeywell Home Smart Thermostats - Being able to control Honeywell Home Thermostats like the Lyric Round was a huge addition to TC2. This helped to further cement TC2 as the one-stop hub for all things smart home automation. Honeywell also released one of the premier Z-Wave thermostats this year, the Honeywell T6 Z-Wave. Support for HD Security Cameras - Honeywell added support for its HD security cameras to be controlled from Total Connect 2.0 this year. These cameras, which were previously referred to as the the "Lyric HD Cameras", include the Honeywell IPCAM-WIC1, the Honeywell IPCAM-WIC2 and the Honeywell IPCAM-OC1. Amazon Alexa Support - The announcement of the TC2 Alexa Skill was huge. Now Honeywell users could control their security system through Alexa voice commands! Later on, the skill was updated to include scene control as well! Perhaps next Honeywell will allow users to control individual Z-Wave devices? VISTA Partition Support - The ability to control individual partitions on a Honeywell VISTA System was a much-anticipated feature. Honeywell delivered in making it finally possible for homes and businesses to arm or disarm specific systems directly from a TC2 account. Using a Honeywell VISTA has never been easier! Chamberlain and LiftMaster MyQ Garage Door Support - End users certainly appreciated the ability to finally control their state-of-the-art garage doors directly from their TC2 accounts. This feature has proven to be a huge success for Alarm Grid customers with a Silver Plan or higher. Multi-Language Support - Total Connect 2.0 opened its doors to a greater number of users by offering support for several new languages. Some of the new languages that became supported included French, Spanish and Portuguese. Refresh Status Button - This was a great move by Honeywell, as it allowed end users to troubleshoot many of their own issues. With the press of a button, a user can send a refresh signal to the TC2 account to clear various messages that may be stuck in the TC2 display. DIYers rejoice! Bulk User Addition Support - Honeywell made it possible to sync users in multiple locations and to add multiple users at once with update 2.5.2. Setting up TC2 for multiple locations became more straightforward than ever! We have certainly had a lot of great news to discuss with Honeywell and TC2 this past year! Now we look forward to 2019 to see what the company brings. Please join Alarm Grid for this exciting ride as the security industry continues to grow and evolve! Ah the Honeywell 6160 Keypad. This is perhaps the most common alarm system keypad used with the Honeywell VISTA Security Panels. It is an alphanumeric keypad that allows for deep-level programming of the system, and it allows for the backdoor method if a user gets locked out. With these great features, every Honeywell VISTA System should really have at least one keypad from the Honeywell 6160-series. For the Honeywell VISTA 15P, VISTA 20P and VISTA 21iP, up to eight of these keypads can be supported, as long as appropriate power is provided. Even if you supplement your VISTA with additional keypads like the fixed English 6150 or the touchscreen Tuxedo Touch, you'll still want at least one 6160 Keypad around to perform deep-level programming functions and for using the backdoor method in case you ever get locked out. Many users mistakenly believe that the 6160 is an actual alarm control panel. But that is not the case. The 6160 is just a keypad use for controlling the rest of the system. The actual system is most likely inside a metal container that is hidden somewhere in the building. Some users also mistake the name for the Honeywell 6160, believing that it is called the K4274V1-H M274. However, this is just the part name of the small plastic door that is used to cover the buttons. This small plastic enclosure is used across all Honeywell 6160 Keypads. Indeed, the actual name for the keypad is 6160. In addition to the standard Honeywell 6160 Keypad, there are also two other very popular keypads that are part of this same lineup. These include the 6160V and the 6160RF. For all intents and purposes, these are the same keypads as the standard 6160, but each offers an additional feature. The V in 6160V stands for "Voice", and the keypad offers voice annunciation. This means that the keypad will speak out any zone descriptors and the current arming status for the system. Users can also use the 6160V to record and playback voice messages of up to 2.5 minutes. As for the 6160RF, the letters RF stand for "Radio Frequency". This keypad has a built-in 345 MHz transmitter for supporting Honeywell 5800 Series Sensors. This a great keypad to add if you want to start using wireless sensors with your Honeywell VISTA System. Not only can uni-directional devices like standard security sensors, be used, the transceiver will also support bi-directional devices, like the Honeywell 5800WAVE. If you have questions about any of the 6160 Keypads, please reach out to us! You can email us at support@alarmgrid.com or call us at (888) 818-7728 from 9am to 8pm EST M-F. We look forward to helping you with all your security needs! Capture Santa on Your Alarm.com Security Camera! Hi DIYers! We have learned that Alarm.com is adding a feature that will let you place an image of Santa Claus directly into a security camera screenshot! Now, as we all know, you can't actually capture a real picture of Santa - he's magic! But you can at least pretend with this fun feature! Alarm.com is making this feature for any Alarm Grid customer on a Platinum Level Plan who uses the Alarm.com interactive service platform. The feature will only be available from December 21st thru the 26th. This will give you a chance to test the feature before Christmas Day. But once Christmas is over, the feature will disappear. You'll have to catch Santa next year instead! You can even move or resize Santa to fit your home's setting. Finally, download the image or share it via text or email. Then you can show all your friends and family that Santa paid you a visit! If you have any questions about this feature, reach out to us at support@alarmgrid.com or call us at (888) 818-7728 from 9am to 8pm EST M-F.